Last night, the PHS Dragonettes varsity basketball team were back in Dalton to take part in the 2017 6-AAAA Region Tournament Semi-finals. Their opponent, the top seeded, & 4-A top ten ranked Lady Bruins of Northwest Whitfield. 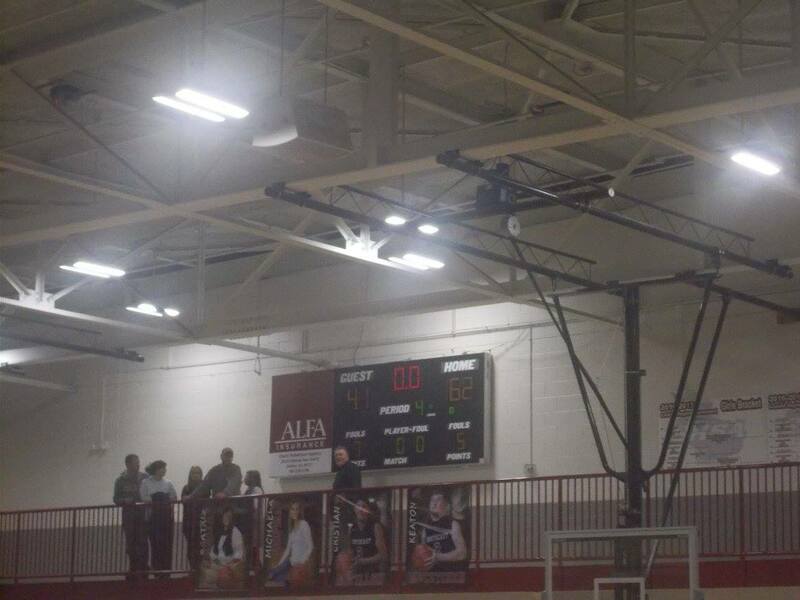 The winner, not only would advance to the championship game, but would also ensure a home game in the state tournament. In the 1st, It took a bit for both teams to get anything consistent. 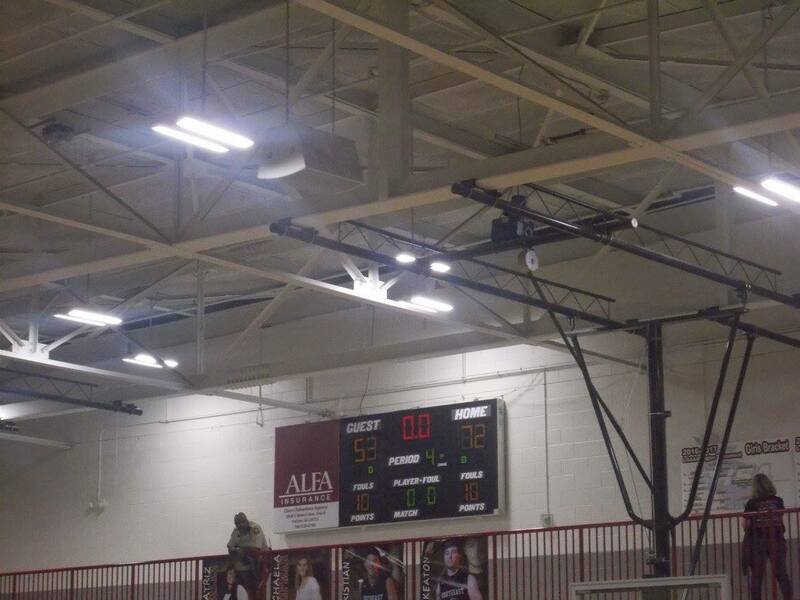 In a back and forth opening quarter, the Lady Bruins held a 12-7 over the ‘Nettes going to the 2nd. In the 2nd, Pickens stayed within striking distance of top seeded Northwest Whitfield. A 14-8 quarter advantage gave the Lady Bruins a 26-15 lead going to the half. The 3rd quarter, was relatively low scoring as both teams combined for 17 total points. 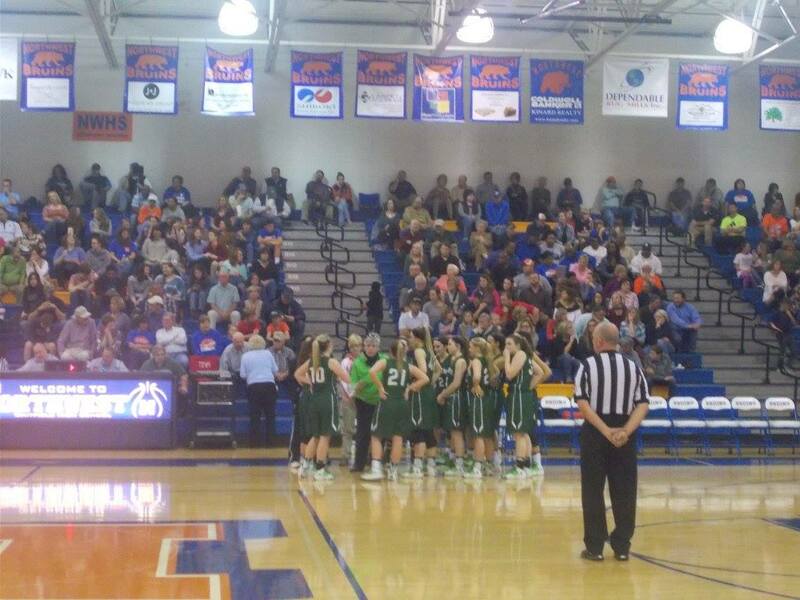 An 11-6 quarter advantage game Northwest Whitfield a 37-21 lead over Pickens going to the 4th and final quarter. 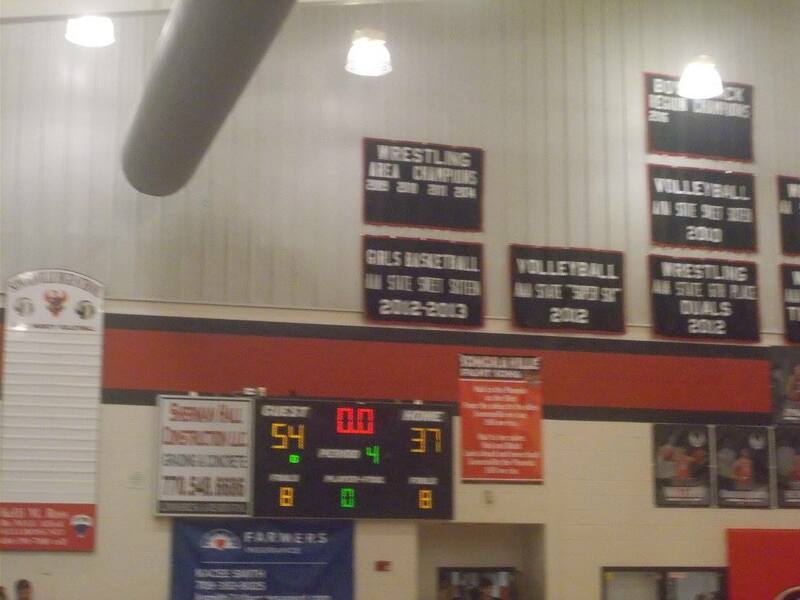 In the 4th, the Lady Bruins used a 16-12 quarter run to get the win over the ‘Nettes, 53-33. Later today, the ‘Nettes will be back in Dalton to take on their bitter rial, the Gilmer Lady Cats, in the 3rd place game of the 6-AAAA Region Tournament. The winner, will be the 3rd seed for region 6 when they take on region 8 in the 1st round of the 4-A State Tournament. Tip off is scheduled for 4 p.m. Yesterday, the PHS Dragonettes varsity basketball team hosted the Lady Ramblers of LaFayette in another big 6-AAAA region match up. Coming into the game, Pickens was tied for 4th in the 6-AAAA standings with Ridgeland after defeating the Lady Panthers 49-42 the previous night. With A win against LaFayette, the ‘Nettes would have sole possession of 4th place. The 1st quarter started out very close as both team were able to get offense in. By the end of the frame, Pickens gathered a 16-9 lead over the Lady Ramblers going to the 2nd. In the 2nd, the ‘Nettes were able to extend their lead over LaFayette with the help of their defense. Using a good defensive strategy, & a 22-14 quarter advantage, Pickens led LaFayette going into the break, 38-23. In the 3rd, the ‘Nettes again added to their lead. 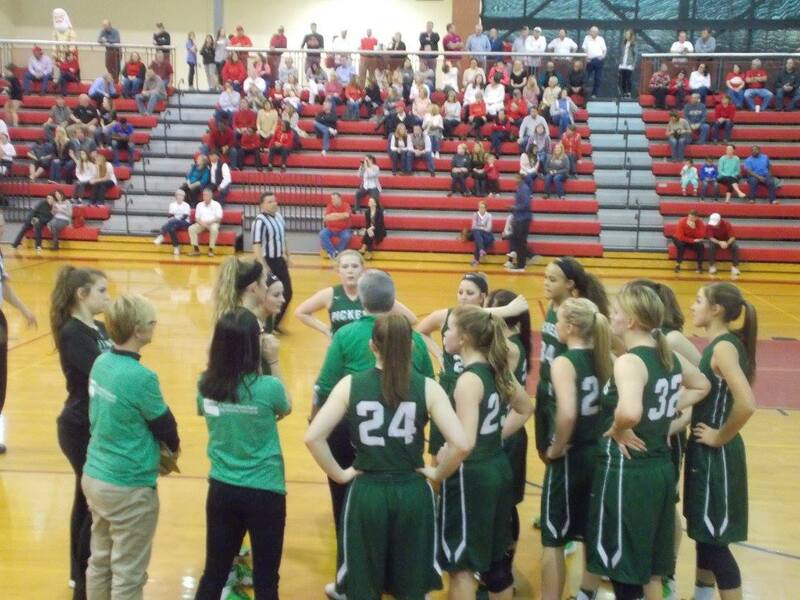 Using a 23-12 quarter advantage, Pickens held a 61-35 lead over the Lady Ramblers going to the 4th and final quarter. 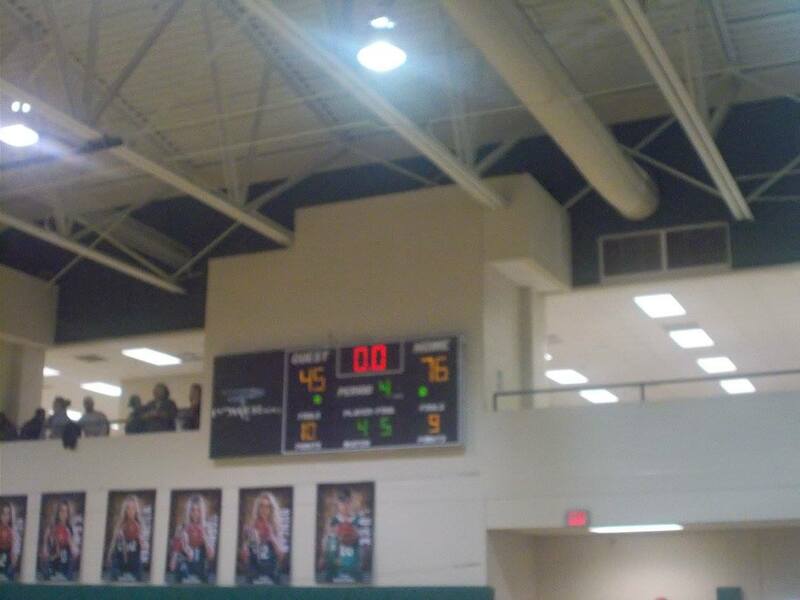 In the 4th, the ‘Nettes closed things out and came away with a 76-45 victory. The ‘Nettes will be at home on Tuesday night to close out the regular season as they host the Lady Raiders of Southeast Whitfield. This coming Tuesday will also be Senior Night as the ‘Nettes will honor the departing seniors. Game time scheduled for 6 p.m. Yesterday evening, the PHS Dragonettes varsity basketball team hosted the Lady Raiders from Southeast Whitfield in the final game of the regular season & also Senior Night. With a win, Pickens, would seal up the 4th seed heading into next week’s 6-AAAA region tournament. 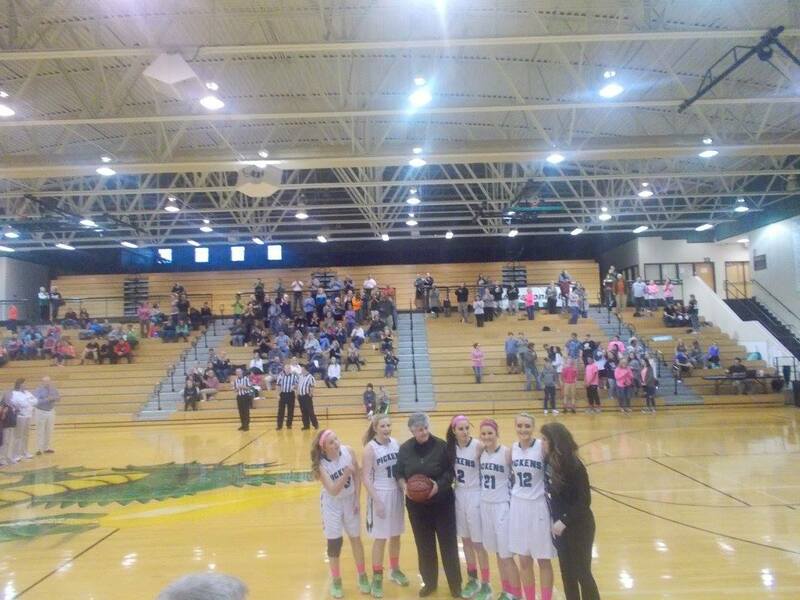 Prior to the game, ‘Nettes head coach Donna Enis was recognized for getting her 400th win as a coach. The 1st quarter, was a back and forth frame as both teams looked to maintain an early lead. The Lady Raiders ended up with the lead heading into the 2nd, 16-14. In the 2nd, Southeast Whitfield stretched their lead out just a little bit. A 16-11 quarter run gave the Lady Raiders a 33-25 lead over Pickens going into the half. In the 3rd, the ‘Nettes started a big time run. After being down double digits for a time in the quarter, Pickens used 14-11 overall run, & a 6-0 run to end the frame including a buzzer beater from Madison McClure to cut the Southeast Whitfield lead to 44-39. 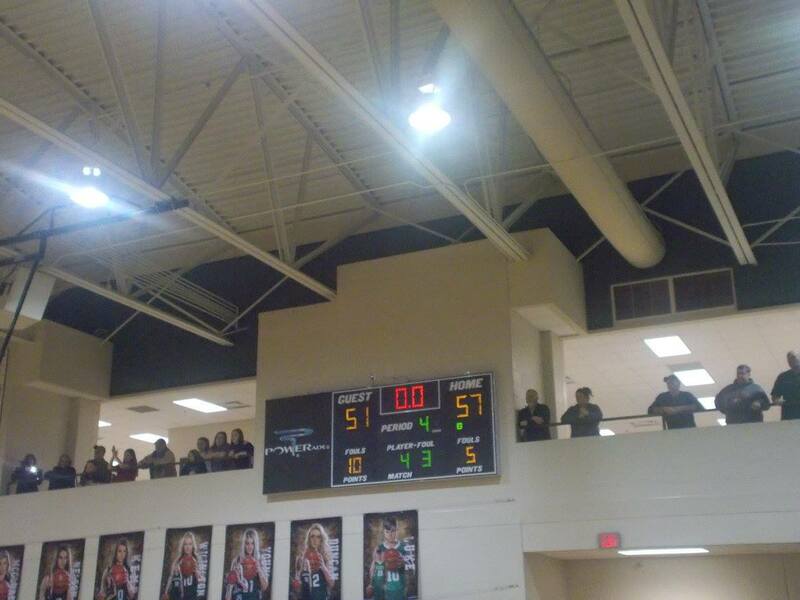 In the 4th, the ‘Nettes took over. With help from an 18-7 quarter run and timely free throws, Pickens sent Seniors Tessa Duncan, McKenna Kemp, Madison McClure, Ashley Nelson, Taylor Wigington, & Autumn Young out with a win, 57-51. With that win, the ‘Nettes have assured themselves of the 4th seed in the upcoming 6-AAAA Region Tournament being held at Southeast Whitfield starting next Monday. Their opponent should be more clear as the week progresses. Next Article » Pickens County Sheriff's Office is asking for help in a Social Media Case. Yesterday afternoon, the PHS Dragonettes varsity basketball team was once again at Southeast Whitfield High School to take part in the final day of the 2017 6-AAAA Region Tournament. Pickens, faced a familiar foe yesterday as they took on the Lady Cats of Gilmer for the 4th time on the season for the #3 seed for 6-AAAA heading into the 4-A State Tournament next week. In the 1st, Gilmer, got off to a quick start in the early tip time. The Lady Cats, pounced out to a 16-9 lead over the ‘Nettes going to the 2nd. In the 2nd quarter, the offense and defense picked up for Pickens. The ‘Nettes, used a 19-10 quarter advantage to take a 28-26 lead over Gilmer going to the break. In a very physical 3rd quarter, both teams found success scoring. Pickens barely outscored the Lady Cats 20-17, to take a 48-43 lead going to the 4th and final quarter. In the 4th, the ‘Nettes used another huge run to close this game out. Using a big 24-10 quarter run, Pickens, got the win, their 3rd over Gilmer on the season, 72-53. The ‘Nettes will now wait to see where they will be off to next week for the 1st round of the 4-A State Tournament. Region 6, is facing region 8 in the first round. In the 8-AAAA Championship, Jefferson is taking on North Oconee. The ‘Nettes, will travel to whoever loses that game next week. Last night, the PHS Dragonettes varsity basketball team traveled to Bogart, Ga to take on the North Oconee Lady Titans in the 1st round of the 2017 4-A State Tournament. Coming into the ball game, the ‘Nettes were the #3 seed out of region 6 while the Lady Titans were the #2 seed out of region 8. North Oconee, came in ranked in the top ten of the 4-A poll. In the 1st, it took a while for the two teams to get things going offensively. As things ended in the opening quarter, North Oconee would take a 17-6 lead into the 2nd. In the 2nd, it was a close quarter points wise. The Lady Titans outscored the ‘Nettes 10-6 to take a 27-12 lead into the break. The 3rd quarter would not kind to Pickens as nothing was falling for them. North Oconee used a 21-9 quarter run to take a 48-21 lead going to the 4th and final quarter. 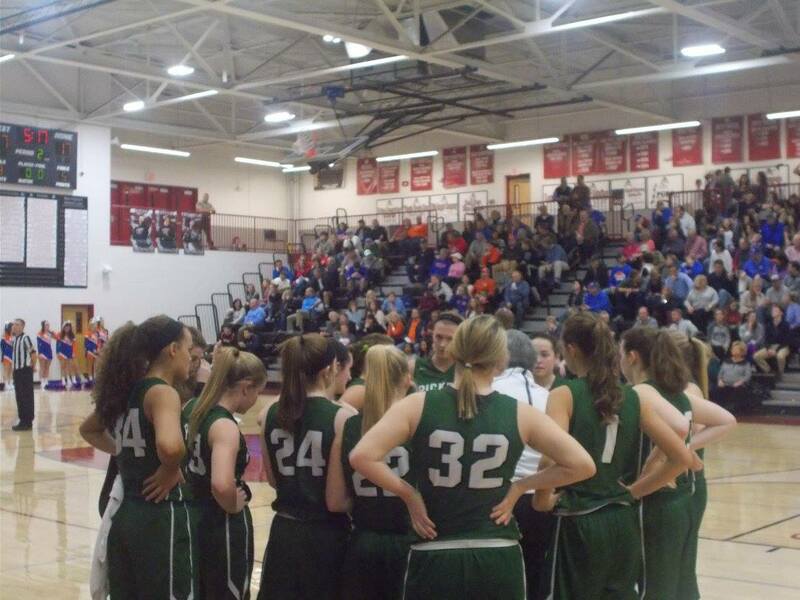 In the 4th, the ‘Nettes had their best offensive output of the game, outscoring the Lady Titans 16-14. It would not be enough as North Oconee would get the win, 62-37. While the ‘Nettes will be losing 6 seniors, they will be returning a lot of young & experienced players as well. They again will be upper class heavy. Look for another competitive year from the ‘Nettes next season. Yesterday afternoon, the PHS Dragonettes traveled to Southeast Whitfield to kickoff the 2017 6-AAAA Region Tournament Quarterfinals. The ‘Nettes, came in to the tournament as the #4 seed & took on the #5 seeded Lady Panthers of Ridgeland for the right to punch their ticket to the 4-A State Tournament. Pickens, got off to a fast start in the opening quarter of this one. The ‘Nettes, raced out to a 17-6 lead going to the 2nd quarter. In the 2nd, the Lady Panthers got their offense to pick up. Pickens, outscored Ridgeland in the frame 15-11, to take a 32-17 lead into the break. In the 3rd, the ‘Nettes stretched their lead out on the the Lady Panthers using a 14-9 quarter run. Heading to the 4th and final quarter, Pickens led Ridgeland, 46-26. In the 4th, the ‘Nettes were able to seal things up and earn a state tournament berth with a 62-41 victory. The ‘Nettes, will now take today & tomorrow to get ready for their Semi-final match up with the #1 seeded Northwest Whitfield Lady Bruins. A win there for Pickens would send them to the championship game & give them a home game in the 1st round of the state tournament. Tip off is scheduled for 7 p.m. on Thursday at Southeast Whitfield. Yesterday, the PHS Dragonettes varsity basketball team traveled to Tunnel Hill to take on the Lady Bruins of Northwest Whitfield in a big region match up. Pickens, came into the ball game on a 3 game win streak and 4th in the region standings. Northwest Whitfield, came in undefeated in region play, & ranked 6th in the 4-A poll by www.sandysspiel.com. In the 1st, the ‘Nettes stayed with the high powered Lady Bruins matching them score for score. Northwest Whitfield would take a 16-11 lead going to the 2nd. In the 2nd, it was more of the back and forth action between the two teams. A late run, & a 13-10 quarter run for the Lady Bruins gave them a 29-21 lead over the ‘Nettes as we hit the half. Early on in the 3rd, Pickens went on a 5-0 run to cut the Northwest Whitfield lead down to three. The Lady Bruins however, answered with a 23-4 run the rest of the way in the 3rd to stretch out their lead on the ‘Nettes, 52-30, going to the 4th. In the 4th, Northwest Whitfield closed things out to get the win, 71-42. The ‘Nettes will get right back to it this afternoon as they travel to take on the Sonoraville Lady Phoenix in non region play. Tip off scheduled for 3 p.m.
Last night, the PHS Dragonettes varsity basketball team traveled to Calhoun to take on the Sonoraville Lady Phoenix in non region action. These two teams met earlier this season with Pickens coming away with the narrow victory. In the 1st, both teams jockeyed for the lead trading bucket after bucket. Going to the 2nd, it would be the ‘Nettes who had a 13-10 lead. In the 2nd, it was again tightly contested as Pickens held a slight 10-9 quarter advantage over the Lady Phoenix to head into the break, up 23-19. Much like the 1st half, the 3rd quarter again was neck in neck. Pickens, maintained it’s lead over Sonoraville with a 14-13 3rd quarter run to lead it 37-32 going to the 4th. In the 4th, the ‘Nettes pulled away from the Lady Phoenix. Pickens used a 17-5 quarter run to close out the win, 54-37. That win, would give Dragonettes head coach Donna Enis her 400th for her career. The ‘Nettes, will get back to region action on Tuesday night as they travel to take on the Lady Generals of Heritage in a big region game for both teams. Tip off scheduled for 6 p.m.